One driver miraculously escaped with no injuries while the other one sustained minor injuries after being involved in a car crash on Boclair Road yesterday (Wednesday, November 9). 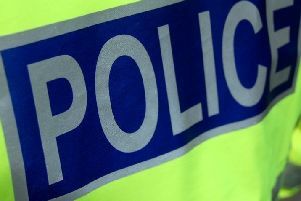 Two cars collided near Dobbies Garden Centre, Bearsden, at about 9.10am and we received reports that emergency services, including an ambulance, were quickly on the scene and that it looked like a bad smash. A female driver was taken to Glasgow Royal Infirmary with minor injuries where she had routine checks and the other driver was given the all-clear by the ambulance crew at the scene. The road was closed until 1pm while a fuel and oil spill was cleaned up before it could be re-opened.